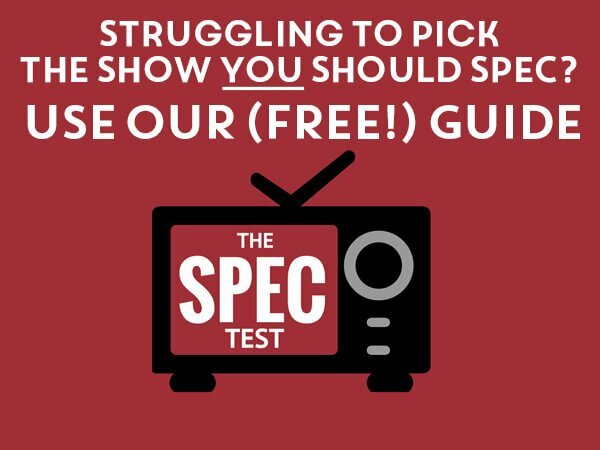 You mentioned [with asterisks] that some 1st season shows wouldn’t be accepting specs. Specifically, Blackish… However, I’m developing a spec for next season. Am I too late? […] I spoke directly to [an agency] and they said I should send something to them. Not that it will guarantee anything. So maybe that’s the path I go down…or maybe I just keep hustling for the next few months and then try to apply to a fellowship program next year? The “asterisks” in my Drama and Comedy Spec Script lists specifically relate to the WB Writing Fellowship/Program. They identify shows WB does not accept (or rather did not—their deadline was end of May). I’m actually in the midst of writing a large post where I’ll tackle most of your Qs, but the gist is: don’t put all your eggs in one basket. There isn’t “one path”, rather multiple ones that hopefully converge into you breaking (and a career). If a known agency is open to reading your material—go for it! It’s actually fairly rare for agents to be open to reading new writers (without any recommendation) so you should pursue every opportunity (assuming you’re ready for them). It is also never too late to write specs. In fact, the more you write, the better off you are. If anything, they’re great samples and training. One could even say that your job as a staff writer will be, basically, to write specs (albeit more professionally). If you’re worried about being “out of date” when next season rolls around, don’t be. Even if your show is heavily serialized (which Blackish isn’t), your number one worry should always be to craft a compelling, unique spec. Not keep up to date with the various narrative developments from the live show. I’d say hone your spec(s), and when you have an awesome one ready, send it out. Maybe they’ll love it and rep you. Either way, it will only help you when applying to the fellowships next year. If you (who’s reading this) have a question you’d like an answer to, feel free to contact me about it.